Casuals are a great relief from the day-to-day grind that formal wears offer. And that is why everybody loves to wear casuals, irrespective of their age. If you are in your thirties, or you have just touched the 30-year-old mark, then you have probably begun to believe that going too casual in your dressing could backfire. Well, drop that thought, because age is just a number. And we have some amazing casual outfits for 30 year old women for you to try out. 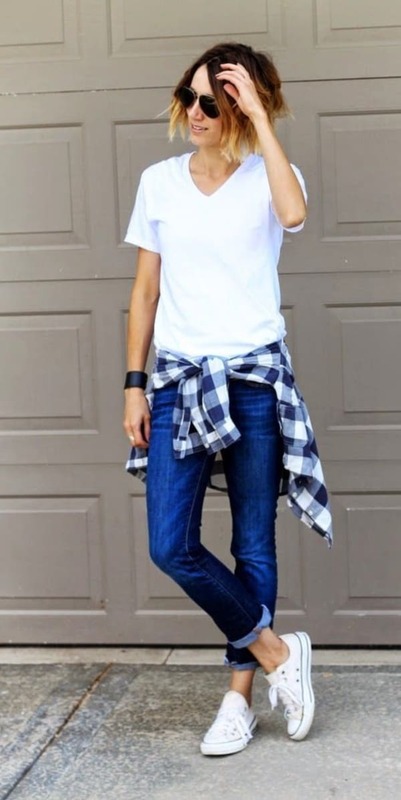 When it comes to casual outfits for 30 year old women, there is nothing that can beat the effectiveness of boyfriend jeans. Just because you are 30, doesn’t mean you can’t wear them. They are funky and cool and can strip years off your age. And that is probably the reason why they are an absolute favorite among all women. For the best look, team them up with knotted shirts. So, you don’t like to expose your legs. Maybe because you think you are too old at 30. Well, there is no reason why you should force yourself into doing otherwise. You can fulfill your desire to wear short dresses without being too overtly bold by simply slipping into a cute midi dress. Don’t worry, they are pretty much in and they look great on women of all ages. The list of casual outfits for 30 year old women can’t be complete without a maxi dress in the bohemian style. This dress can be something in white cotton fabric with quirky embroidery or some light fabric having extremely vibrant prints of patterns. No matter how your maxi dress looks, it is sure to make you look gorgeous. Casual outfits need to be comfortable too. Without an element of comfort, you cannot feel great. And when it comes to comfort, chinos offer the best in their capacity. Teamed up with a tee, they can make you look much younger than you are. Plus, they will make you feel at home. Guess what, chinos are available in so many amazing colors, that you will always have an option to wear according to your mood. Culottes are fun outfits. They are so cool, everybody these days seems to be head over heels in love with them. It is because of their easy nature that they are so hit. Although they go with all sorts of top wears, knotted shirts simply up their glam quotient. There is perhaps someone who doesn’t wear denim pants. Now, if you are asked to team it the best way, you will probably pull a t-shirt out of your wardrobe and call it the most fitting clothing item to pair with a pair of jeans. But believe it or not, you can go for a denim on denim look to be a head-turner. Monochrome is the order of the day, after all! So, you love stripes! And you love them more when they sprawl over your dresses. Imagine a beautiful dress with vertical stripes. Love the imagination? Well, that’s what makes it to our list of most loved casual outfits for 30-year-old women. 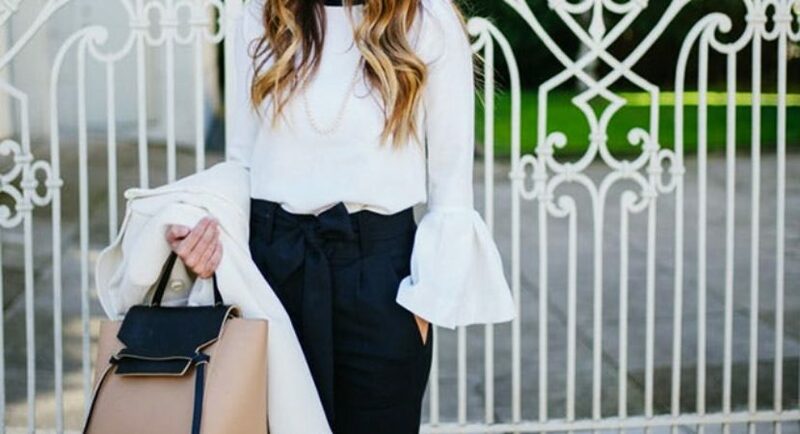 Casual outfits for 30 year old women as given above will become your absolute go-to, once you realize their potential as casual outfits. You can wear them to almost all casual occasions, irrespective of the time of the day. How much more versatility can you expect from casual outfits?